All one and two bedroom cottage units feature Air Conditioning, heat, screened-in porches, color cable TV, kitchenettes with pots, pans, dishes, basic utensils, and private baths with showers. These are "Housekeeping Cottages" which include linens and towels. Guests are welcome to exchange towels and linens at the front desk during their stay. We have fourteen unique Two-Bedroom Cottages. Cottages 4, 6, 7, 8, 9, 15, 16, 18 and 19 all have a full bed in each bedroom, can accommodate up to 4 people and have a minimum 3 person rate. Cottages 10, 11, 12 and 14 have a queen bed in one bedroom and a twin bed and full bed in the other bedroom. They accommodate up to 5 people and have a minimum 5 person rate. 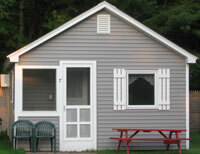 Cottage 5 has a full bed in one bedroom and twin bed in the other. It can accommodate up to 3 people and has a minimum 2 person rate. All have air-conditioning, heat, kitchenettes and private baths with showers. 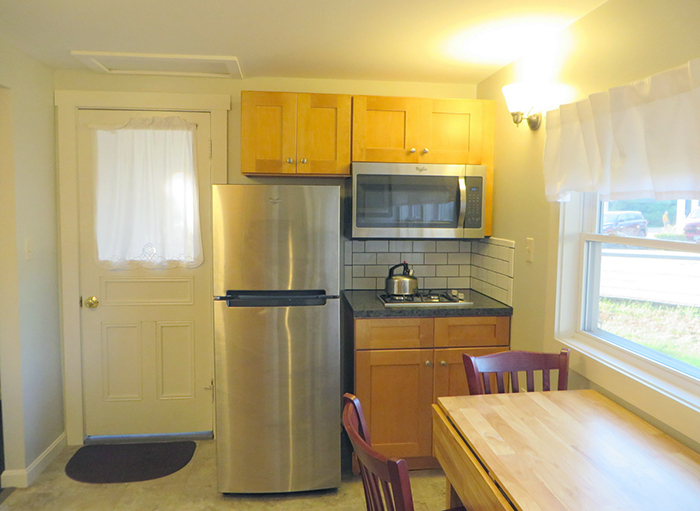 We also have three One-Bedroom Cottages. These 3 cottages can accommodate up to 4 people and have a minimum 2 person rate. 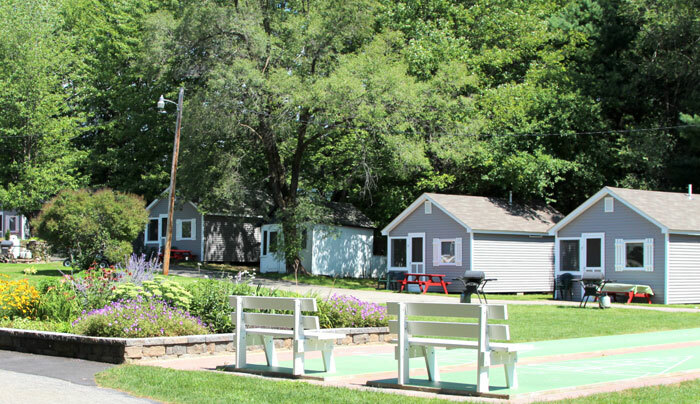 All guests enjoy our quiet 3-acre grounds complete with large swimming pool, recreation room and children’s playground, shuffleboard, basketball, volleyball, gas grills, picnic tables, and outdoor fireplaces. Complimentary coffee is available in the office in the morning.